The works of Nana Ama Afoa Osae are imbued with an overtly Christian ethos. In both books, Queiba’s Question and Queiba’s Dress, Nana Ama Afoa Osae uses the daily experiences and difficulties of the titular character, Queiba, to bring to the awareness and understanding of children the desires and wishes of God for their lives and the lives of those around them. In Queiba’s Question, Queiba Baidoo is told at Sunday school of how God spoke to the young Samuel. Her friend, Aba, thinks God only speaks to adults. Queiba, then tries to find out if God only speaks to adults or if He also speaks to children. She wants to know how He speaks, and how a person knows if it is God speaking to them. However, the adults in her life seem too busy to answer her questions. The Sunday school teacher is called away. When Queiba gets home, her mother is busy baking; her grandmother is napping; her father is watching football; and her Uncle Fiifi, the scientist, is busy with an experiment. The only one who has time for her is her naughty, elder brother, who seizes the opportunity to play a trick on her. Queiba eventually gets an answer from her grandmother: God speaks to all of us whenever we listen to that inner voice that tells us what is right and what is wrong. At school the next Monday, during a test, Samira bullies a timid Ama into providing her with answers, and when caught pins the deed on Ama. Queiba listens to her inner voice. She finds the courage to stand up and tell the truth. Another pupil, Adoley, backs Queiba up, and Ama is saved. Samira is given a stern warning. The progression of the story – from Queiba’s curiosity after Sunday school to her search for answers and her eventual application of the answer – is not only instructive but also enjoyable. In addition, the book’s illustrations faithfully capture the descriptions in the text. It is remarkable that what could be an abstract concept for a child is concretely demonstrated at the end of the story, when the author gives an example of how God can speak to children in Queiba standing up for Ama by telling the truth. In Queiba’s Dress, Queiba’s rich friend, Aba, is throwing a birthday party. Queiba wants a new dress for the party, but she knows her parents reserve the gift of a new dress for Christmas, so she decides to save up money from her allowance to buy a lovely kente dress. As she saves up for the dress, Queiba also volunteers for a Sunday school project, ‘Goodies for Oldies’, which will give presents in handmade goody bags to the elderly. On the project, Queiba is paired with Kojo, a boy from a poorer home. Queiba observes that Kojo’s shorts and shoes are tattered. As the story progresses, Queiba has an accident while riding a bicycle. She has to stay in bed for five days, missing volunteering, her allowance and with it the chance to save more for her dress. But while she is bedridden, Queiba picks up her bible and a devotional text. She studies the verse John 3:16, and learns about showing love through giving. 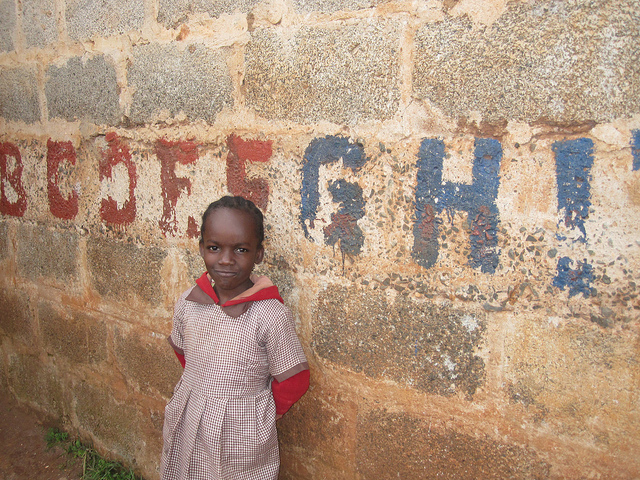 Inspired by that bible passage, Queiba uses the money she has saved to buy presents for Kojo as well as her parents. But, someone was also thinking of Queiba – from her grandmother she gets a beautiful kente sash, which she can wear with one of her old dresses to Aba’s party. As is the case with Queiba’s Question, Nana Ama Afoa Osae in Queiba’s Dress is able to skilfully tie in her bible-inspired message with Queiba’s wants, discoveries and compromises. The language of both books is suitable for children above the age of five. For parents and educators who through stories wish to broach subjects such as selfless giving, truthfulness and standing up for the weak with their children and wards, the books of Nana Ama Afoa Osae would be a good starting point. However, the overtly Christian ethos of the books will restrict their readership. Adaudo Anyiam-Osigwe is an Associate Editor at Pride Magazine Nigeria.